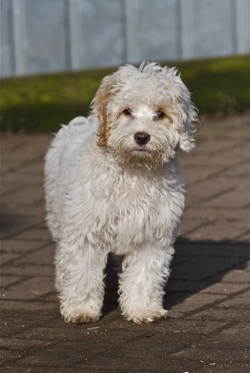 Sadly as the population of Cockapoos had grown rapidly over the last couple of years in the UK there are some circumstances which arise which make it necessary to rehome a Cockapoo. There are many reasons why buying a puppy, for a particular person, may not have the positive outcome that most people experience. Sadly some people get a puppy without realising how much time and effort they require and so then re-sell the puppy. This is often why most of the dogs you find on the internet that are advertised for sale (not by breeders) are between 9 and 20 weeks old. Ordinarily your breeder should be your first point of contact should rehoming be needed. All reputable breeders will offer a lifetime of help and support for a dog they have bred and should ask that the dog be returned to them should any problems arise at any point. Sometimes, however, this is not possible and rather than re-sell or give away your Cockapoo we would like you to get in contact with us and we will do our very best to help rehome it and we have many members who register an interest in offering a stable permanent home to a Cockapoo in need. It can be very difficult and stressful so we would like to help people that have sadly come to this decision by offering an empathic ear where the situation can be discussed freely without judgement. We can offer a supportive service tailor made to each given situation, whether that be giving respite care in a temporary foster home through to finding a new forever home. A register is kept of any dog rehomed through ourselves so you will know your Cockapoo has been placed in the very best home. 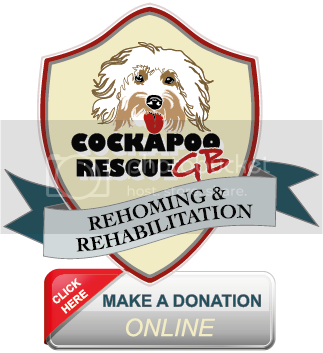 If you need to rehome your Cockapoo, then please click in this link and fill out the form.